Crews working for Vectren Energy Delivery (Vectren), a CenterPoint Energy Company,have begun the process of replacing gas mains and service lines throughout the state as part of the company’s pipeline replacement program, which is a multi-year program to replace about 1,200 miles of bare steel and cast iron pipeline infrastructure in nearly 75 cities or towns in Indiana. This year, 26 cities will be impacted, and crews will retire 80 miles through a nearly $51 million investment. The following cities will be impacted in 2019: Anderson, Bedford, Bloomington, Chesterfield, Columbus, Crawfordsville, Dublin, Elwood, Evansville, Frankfort, Greenfield, Hagerstown, Huntington, Knightstown, Lafayette, Marion, Martinsville, Muncie, Parker City, Petersburg, Richmond, Rushville, Terre Haute, Tipton, Vincennes and Washington. Visit the Active Projects tab on www.vectren.com/pipelinereplacement to view an interactive map displaying all existing or upcoming work in each city. This map is updated regularly as new projects come online. Replacement work is prioritized based on pipeline assessment and leak repair data as well as the opportunity to minimize the construction impact to the affected city. These additional cities, which have not previously had replacement work, will be impacted in the coming years: Albany, Arcadia, Cowan, Daleville, Dunkirk, Farmland, Frankton, Gas City, Gaston, Milton, Markle, Markleville, Mt. Summit, New Columbus, Noblesville, Oakland City and Shideler. In most cases, a polyethylene (plastic) system is being installed to replace the current bare steel and cast-iron gas pipeline system. First, the gas main, which is a gas pipeline that ranges in size from 2” to 8” and is often underneath the street or sidewalk, will be replaced within the right-of-way, and then the service lines running directly to homes and businesses will be replaced. Upon completion of the project, affected yards, sidewalks and streets will be restored. Please exercise caution when driving through the construction zones. We urge residents and their children to keep a safe distance away from any work zones. Since 2008, more than 700 of the 1,200 total miles have been replaced in Indiana, which has led to a reduction in leak calls and natural gas emissions from the distribution system. The reduction in natural gas emissions aligns with Vectren’s pledge to replace cast iron and unprotected steel natural gas mains at a rate of 5 percent, or roughly 42 miles, per year as part of the Environmental Protection Agency’s Natural Gas STAR Methane Challenge Program. 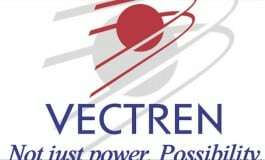 For more information about Vectren’s gas infrastructure modernization program, visitwww.vectren.com/pipelinereplacement.